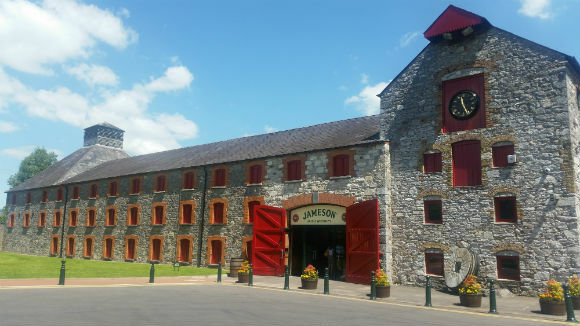 A couple of weeks ago I was lucky enough to be invited over to the Midleton Distillery in Ireland to attend the launch of the Jameson Family, an umbrella term covering rebranding of current expressions and the release of several new ones. 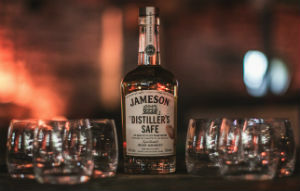 With the original Jameson Irish Whiskey sitting in the middle, there are now three ranges surrounding it; the Deconstructed Series, the Heritage Whiskies, and the Whiskey Makers Series. 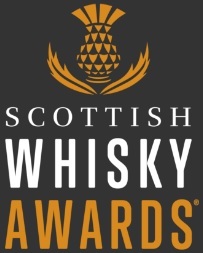 The Heritage Whiskies – Black Barrel, Crested, and Signature – have essentially been given a bit of a touch up, a wee make over, and the odd nip and tuck here and there, but they’re more or less the same liquid as before. You may not have seen or heard of these whiskies though, for some were only really available in Ireland, or only available in Global Travel Retail (GTR). The Deconstructed Series is a range which takes the three key components of Jameson Original – pot still whiskey, grain whiskey, and cask contribution – and, unsurprisingly, deconstructs them, with the names of the three new whiskies emphasising the flavour contributions from each. The new blended whiskies, Bold (focussing on pot still whiskey), Lively (focussing on grain whiskey) and Round (focussing on oak contribution), are available only in GTR priced at €36. Tiger: Afternoon chaps, and many thanks for taking the time to chat to me today. I suppose my first question is, given your wealth of experience, how did you get into the whiskey making business in the first place? Billy: Forty years ago I started as an accountant at Bushmills, but after a while I started to find the routine a bit dull, and that there was a bit of glass ceiling, so I started looking around. A job vacancy came up in the vat house at Jameson in about 1988 so I went for it and from there became a tasting panel member. Dave Quinn then brought me into the blending team in 1996, not because I was particularly great, but nobody else really wanted the job! Brian: My background is in chemical engineering and I was working for a big pharma company, but I found it a bit restrictive. I undertook a one year project as an environmental engineer with Jameson and thereafter moved around on projects but gained a real interest in operations. In 2002 I started working with Barry [Crockett, former head distiller at Midleton] and building relationships. When he retired in 2013, it just happened. I thought, ‘Jesus, are they really going to make me the next head distiller?!’. My apprenticeship was 10 years, some people say I was slow (!) but it shows hard work does pay off. Ger: It was the 1970s so I didn’t have a choice! My father was head cooper at Murphy’s Brewery so I always knew I was going to work with wood – when the job came up I went to the interview and got the job. It’s the only interview I’ve been to in my life! Tiger: With such long careers in the industry, what would you say is the biggest change you’ve seen in your area of expertise? 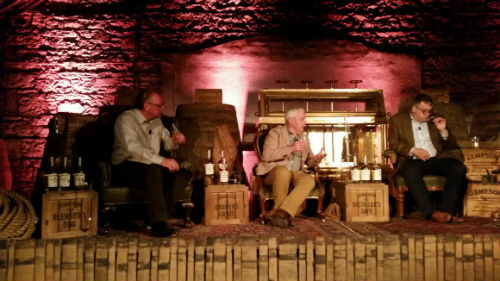 Billy: When I was at Bushmills, it was the introduction of marrying a blend after it has been vatted, you know, putting the blend back into cask for a few months to round it off. When creating a whiskey I always have a picture, a shape, in my head of what I want it to look like. Before marrying, the whiskey was fractioned, it had pointy edges, but afterwards, it was very round and circular. That’s the only way I can describe it! Ger: Nothing in coopering per se, which is why I love it. What I do hasn’t changed; you could take me back to Roman times and I’d be able to repair their casks – the tools are the same and the method is the same. Likewise, if you could transport a Roman cooper here today, he’d be able to pick up my tools and start repairing my casks straight away. It’s amazing how a trade, a craft, can go unchanged for millennia. The big change is in the growth and quality of imported casks. It’s worlds apart compared to forty years ago. Brian: For me as a distiller, it’s got to be the level of automation. With the expansion, almost everything is automated now which, yes, allows for a repeatable process without changing the quality of the spirit, but every decision about a spirit’s fate is still made on the nose. Tiger: Is there something you miss from the old days, something you wish still existed today? Brian: The automation has maybe impaired peoples’ understanding of what goes on in the process. If something were to break down, would they still be able to make the whiskey manually? That’s why we have our microdistillery. The kit is totally manual and is great for training future distillers, but it also allows me to create experimental distillates. You’ll see more of what I’ve been doing at the microdistillery later this year. Ger: The only thing I do miss is working in a cooperage full of coopers. There were 18 coopers in my first cooperage, and it was nice to have them there to bounce ideas off, for example if you were making a really small cask for presentation purposes or something. It’s almost a brotherhood but there are only about 2-2,500 of us left in the world now. Tiger: Moving on to the Whisky Makers Series, Billy, last night at the tasting the other guys mentioned that you played a big part in helping them create their whiskies. What sort of advice were they after? Billy: Well to be honest, it wasn’t so much advice as wanting particular cask type, or wanting whiskey of a particular age etc. Brian knew the distillates and what he wanted to achieve, so by keeping the cask profile constant he was able to create his whiskey with what was available. Ger would maybe have like something a lot older, because whiskey which has spent a longer time in the cask has greater wood influence. He might also have wanted rarer cask types but it’s down to stock availability and forecasting. That’s the reality of it really. 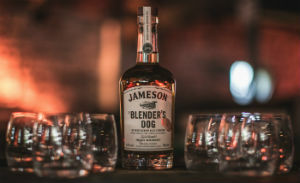 As a blender, I have a forty year plan here at Jameson. They have a ten year plan on the production side of things. Look at sourcing casks – it’s a five year process just to source a sherry cask. The numbers are incredible. It won’t surprise you to know I do a lot of Sudoku in my spare time! Tiger: Each of the three whiskies are named after tools you each use. 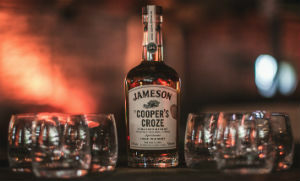 Ger, what is a cooper’s croze, and why did you choose to name your whiskey after it? Ger: The croze is a tool used for cutting the grooves in the cask where the cask head will go. I thought about which tool to name my whiskey after and I realised that if I were to lose one of the other tools, I could probably get by with the tools that were left. But if I lost my croze, there’s not another tool which could do its job. It’s my favourite, it was my father’s and so even after he has passed I feel like I still have a link to him. You can see the wear on it. I’m holding history. Tiger: Brian, The Distiller’s Safe is name after the spirit safe, why is that? Brian: At Midleton, we make three different types of pot still spirit; light, medium and heavy, These are produced by varying the volume of liquid in the still and therefore the amount of copper contact, or by moving the cut points, or by changing the recycling of feints. 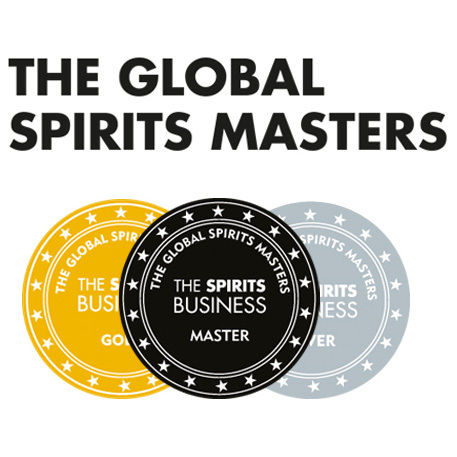 The light spirit is cut early and has some hidden fruit and wood spice, whereas the medium spirit has ripe fruit notes. The heavy spirit is cut much deeper into feints and it’s more robust with dried fruits. The type of spirit produced in any one run is determined at the spirit safe. Tiger: Billy, your whiskey is called the The Blender’s Dog, where does that come from? Billy: The dog is a wee tool used to take samples from the cask, and each sample is then analysed before we decide what to do with it. With The Blender’s Dog, I first had the image in my head of what I wanted about four years ago. The first blend was actually pretty good and it only needed a few tweaks after that to get it to the final product. I wanted to keep it round and mellow, not going too young with the distillate and staying short of heavy wood influence. Brian: Vibrant, luminous and zesty. Ger: Mellow, mature and complex. Billy: Smooth, suave and sophisticated. Much like its creator! Of course, Billy, of course. My tasting notes may be slightly different to the ‘official’ ones given above, but that’s a blog article for another time. Many thanks to all those at Midleton for a wonderfully memorable experience, particularly The Midleton Three; Billy Leighton, Brian Nation and Ger Buckley. Living legends. This entry was posted	on Tuesday, June 14th, 2016 at 5:13 pm	and is filed under Featured, News. You can follow any responses to this entry through the RSS 2.0 feed. Responses are currently closed, but you can trackback from your own site.